Finding the most suitable dog or puppy food for your own particular pet can be a difficult task. There is a huge variety of foods available from supermarkets, pet stores and vets. All of them of course claim that theirs is the best! Adding to the confusion are advertisements showing healthy dogs loving to eat their food, with the a claiming that this is the result you will get of you feed your dog that food. When choosing a dog food many people use price as an indicator of quality. In fact, this is not necessarily a good measure of quality at all; many companies (particularly the large ones) have huge marketing costs and these have to be built into the price you pay. After all, the advertisements on television or in magazines - and even the signs at the vet clinic - all have to be paid for from the sales of the food (this is one reason smaller pet food companies can often offer better value, even if they are not so well known). You could also try to look at the ingredients, but this is not as straightforward as it seems. Many ingredients on labels are confusing and difficult to understand. There is a high degree of leeway in the marketing of these and other pet foods. For instance, did you know that if a food says "with" a certain ingredient (for instance "with real chicken") then by law it only needs to contain a minimum of 3% of that ingredient? The rest of the food may well be filled up with low quality cereals and by products which do little for the health of the dog. Another alternative which many people use is to ask a salesperson at their local pet shop or vet clinic. However, they may not know much either; after all, they usually want to sell you the products they have without having done a lot of independent research into dog or puppy nutrition. Fortunately, with the internet, there is a solution: dog food reviews. There are now a number of websites which review dog and puppy foods. A word of caution, however: it is very important to only take the word of independent reviews that look at the food based on the ingredients. That is why the websites of a particular food manufacturer are not usually a good guide, unless you can find the ingredients and understand them yourself to make up your own mind. This website not only reviews products by brand, but they also have a lot of other useful information that pet owners would find very helpful. There is also the opportunity to post questions and comments. This is another website of reviews. Like DogFoodAdvisor above, it uses a star rating system to grade the foods by quality. Although not a site with actual reviews of brands, this is a very informative website that goes into a lot of detail about what really is in dog foods and the effects on animals. If you are wanting to learn more about ingredients and overall dog nutrition this is highly recommended. Fortunately, the internet now provides a way to navigate through the confusing world of dog food and find the right one for your dog or puppy. Dog food review websites such as those above provide excellent - and independent - advice. For more about selecting the best food for your dog or puppy visit http://www.petfooddirect.co.nz. Problems occur today when the puppy matures into an adult dog. So often once a dog has been house trained, people assume the animal will be capable of staying alone for a few hours every day. Here is where the difference between modern life in today's world stands in comparison with the households of yesteryear. Just a few years ago the average house had someone at home for most of the time and the family dog was rarely left unattended. Having to watch seizures in dogs can be a very frightening and traumatic experience. If you own a dog, then it is important to know the simple steps to take should your dog have a seizure. Knowing how to respond can be very important during this difficult time for your pet. The most important thing yet the most difficult thing that an owner needs to do is remain calm. Although one cannot say for sure, many would like to think that a dog can perceive when you are nervous. If they can feel you are worried or if you panic, it can agitate the dog. The next thing is to place something soft under his head. It can be a towel or even a blanket. This should be done to prevent your pet from further hurting himself or his head during the convulsions. Make sure that you have removed everything around him. Do not have toys or any type of hard surface around him or her while they are experiencing the seizure. If they are near a wall, move them further away from it. Do not reach into your dog's mouth to hold its tongue. During this time your pet is not aware of what he or she is doing and can clench their jaws on your hand. This can be pretty painful and can cause severe damage to your hand. Do not worry about him choking on his tongue, he will not swallow it. The next thing you can do for your loved pet is sit next to him to give reassurance. Knowing that you are there can be really helpful during this time. Talk in a soothing voice while petting your pet to help them during the seizure. Even after the convulsions have stopped, encourage your pet to remain laying down for a while. Try to keep track of when the seizure started as well as how long it lasted. This information is important to your vet when you take your dog in. If your dog has had seizures before then you should know that you do not need to take your pet in every time he has one. Your dog should be taken to the vet if he is having continuous seizures within 5 minutes. After the seizure has stopped, give him some sugar. Low blood sugars can be one of the causes of the seizure. One or two teaspoons should suffice. Do not give him too much of it as this can also be bad. Vanilla ice cream is preferred, but if you have another flavor instead in your refrigerator (except chocolate), that should do. After feeding your pet ice cream, try and give them dog food to help maintain the sugar given. Seizures in dogs can be scary but knowing what to do during this time can really help both of you. Remember to let your veterinarian know everything that happens, and if it is not the first time, you do not need to take your pet every time a seizure occurs. If it is more than one occurring, or if the seizure appears to be very severe, take your pet to a veterinarian emergency room. Sandra DeMers is the author of "Cory's Story," the story of a yellow Labrador retriever suffering from seizures in dogs that will absolutely AMAZE you. Cory is alive, happy and healthy at the age of 13 and hasn't had a seizure in over 5 years. Visit www.corysstory.com to learn Sandra's secret to good canine health--you'll be surprised when you learn the truth. Over 10% of all dog allergies are food allergies. Many dogs suffer from a wheat allergy and using a wheat free dog food can be the solution to these allergy problems. How Do Wheat Allergies Develop? Many dog owners find it hard to believe that their dog is suffering from a wheat allergy as they have been feeding the same diet for years now and the problem has surfaced only recently. The reason such a thing is possible is that food allergies sometimes develop overtime and a dog may not have allergy previously but have developed it now and a wheat free dog food is the solution to prevent occurrence. A diet with wheat in it could also result in digestive disorders such as inflammatory bowel disease and removing wheat from the dog's diet is the ideal thing to do in such a situation. Is My Dog Suffering From A Wheat Allergy? To find an answer to this question you will have to put your dog on an exclusion diet. In this method the dog is fed homemade diet with ingredients that the dog will not be allergic to and consult your vet before starting this diet. If in a few days it is noticed that the symptoms are improving then move back to the diet dog was on to know if symptoms resurface. In case the allergy starts again that you will be confirmed that there is something in dog's diet which is causing the allergy. Next you will have to shift back to the exclusion diet and reintroduce ingredients from dog's original diet one by one at an interval of few days to see the effect of their inclusion. If you find the symptoms resurfacing then you would have identified the allergen. A wheat based diet is carbohydrate rich which needs to be broken down by dog's digestive system by enzymes and dogs do not have enough enzymes to break these down properly. As these wheat diets remain undigested, they result in gastrointestinal problems as well as intestinal inflammations. Thus a diet which is rich in vitamins and proteins and has less percentage of carbohydrates or starch is more beneficial for dogs. The advantages of wheat free dog food are that these do not have wheat ingredients as fillers as a means to bulk up the dog food. 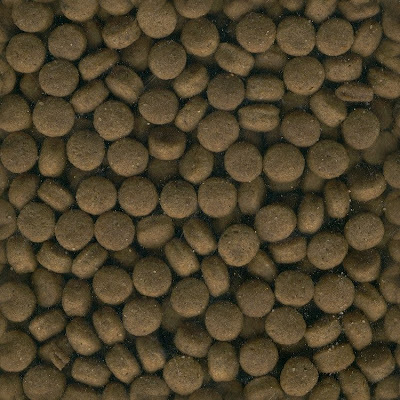 Instead these wheat free dog foods have greater percentage of proteins in them helping to meet nutritional needs of a dog which much lesser quantity of the food compared to a diet which has wheat used as filler. To prevent allergies and also to make the diet more digestive for your dog, it is advisable to shift to a wheat free dog food. There are numerous options available in the market nowadays which are good replacement for wheat diet and maintain the desired nutritional level in your dog's diet. 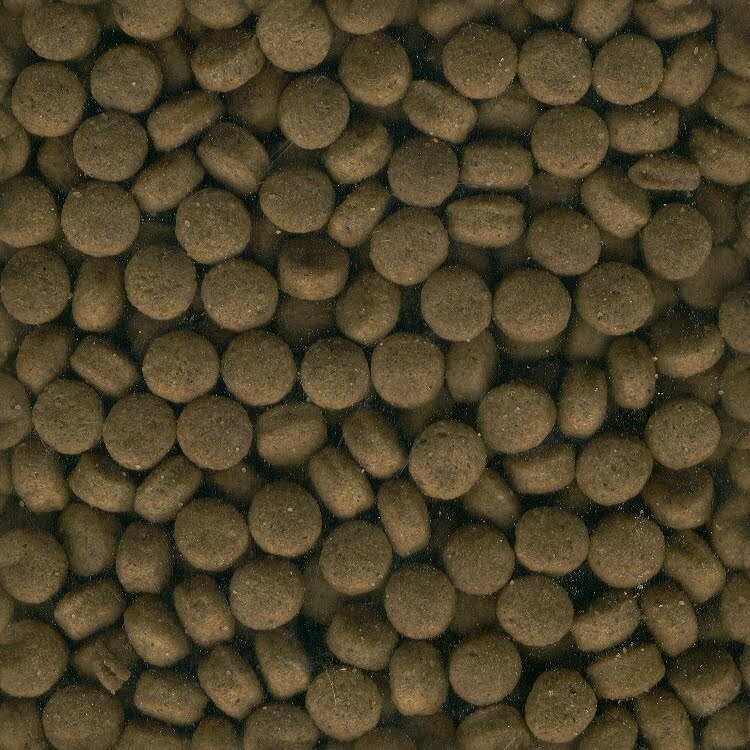 Wheat free dog food help offered by PetVitaminRep.com- the best natural dog vitamin supplement designed to boost your pet's immune system and overall health. Visit http://www.petvitaminrep.com/ today to learn more about our natural multivitamin for dogs and the best natural dog food that is wheat free. Iams ProActive Health Smart Puppy Food recall due to aflatoxin levels that were detected above the acceptable limit! CINCINNATI, Dec. 6, 2011 /PRNewswire/ -- The Procter & Gamble Company (P&G) has voluntarily retrieved a single production lot of dry dog food due to aflatoxin levels that were detected above the acceptable limit. This product has already been retrieved from store shelves. No illnesses have been reported in association with this production lot to date, and no other Iams pet food products are involved. For further information or a product replacement or refund contact P&G toll-free at 866-908-1569 (Monday – Friday, 9:00 AM to 6:00 PM EST) or http://www.iams.com/. Between managing the puppy’s training and worrying if you’ve puppy-proofed your house adequately, new dog ownership can be overwhelming. Proper dog care and training are critical during your puppy’s first few months in their new home. If you suspect your puppy might be sick, take him or her to the vet immediately. For common digestive ailments and bumps and scratches, your vet will probably prescribe an over-the-counter human treatment, like Pepto Bismal or an anti-biotic ointment, to treat upset stomach and abrasions. However, for more serious conditions, like kennel cough, your vet will likely prescribe more expensive animal drugs. A great way you can save money of on medication is to buy affordable Canadian drugs from a reputable online pharmacy. A crate not only makes housetraining easier, it a fantastic tool for managing the safety of your young pup. A crate is a private area for your puppy where they feel secure and stay safe when you’re not at home from dangerous household items, such as electrical wires, household cleaners and poisons, or choking on foreign objects. An added bonus is that the crate will help the housebreaking process and discourage any bad messing behaviors. This will help establish the crate as a safe haven for your pup. If you make him or her sleep the first few nights in the dark basement or laundry room the pup will develop fright towards being crated. Use the gate the same way as you would for a child to keep the puppy out of places that pose a danger, for example, block out living rooms with exposed electrical cords or stairwells when you’re not supervising. Just like a new crawling baby, you have to watch your puppy with an eagle eye until he or she adjusts to their new surroundings or else their curiosity may find them choking or falling down a flight of stairs. Puppy’s day, as well as yours, will go a lot more smoothly if you develop a regular routine. That way puppy will know what to expect from the day and not seek out foreign things to chew and get into out of boredom. Basic obedience if of benefit to puppy and you. Obedience classes teach a pup to socialize with other puppies and people—and curb nasty habits like biting or aggressiveness. Puppy should follow the same routine and rules, regardless of which family member is on dog duty. Sit down as a family to discuss training cues, housetraining and walking rules and agree that everyone stick to them. If you regularly touch his or her feet, nails, tail, ears, mouth, teeth, and belly with love—puppy will be more responsive during vet checkups. This will, again, establish a good pre-vet routine. Also, the act of grooming let’s you examine the pup for broken nails, teeth, sores or lumps that could be more serious if not caught early on. From people in hats to car rides and from walking on a busy street to other animals, if you socialize your pet they won’t be traumatized or frightened by things and bite or run, which could endanger their wellbeing. A non-consumable Kong toy filled with peanut butter or a frozen wet wash cloth all ease pups growing teeth and strengthen their teeth and gums. If you leave lose objects around your house, puppy could choke or injure their mouth or teeth chewing on sharp objects. If a scared or excited puppy runs away, a micro-chip could be your best hope of finding them. Vets provide dog micro-chipping for around $25 to $40. I know it’s gross, but a quick poop check could save your puppy’s life if you notice diarrhea or blood in stool. Abnormal bowel movements are a sign of ill health and mean you should take your dog to the vet immediately. If you provide your pup with designated toys, he or she will less likely to chew on your couch, furniture and household items that could put them in danger. And human babies don’t do much. Be patient and rather than using sever discipline to force your pup to sit or stay. Aim to socialize your puppy with other people and dogs—and develop a bond! Most dogs like nothing better than a nice long walk, and hiking is a pretty popular hobby amongst people too. With a little care there is no reason why your pooch can't join you on a hike and you can both have a great day out. However, it's not quite as simple as clipping on a leash and heading out there door. If you want to hike with your dog in a State Park or another area with conservation value, do some homework first. Some parks welcome responsible dog owners but others don't, and the last thing you want is to arrive at the trailhead only to find a 'No dogs' sign blocking your way. Those places that don't allow dogs often do so for very good reasons so it's well worth paying attention to signage. Nobody wants their pooch to cause any harm. No matter where you walk your dog, it's important that they be well socialised and friendly to people and other animals they might meet along the way. They need to come when called if you're going to allow them off the leash, no matter what temptations they might face. 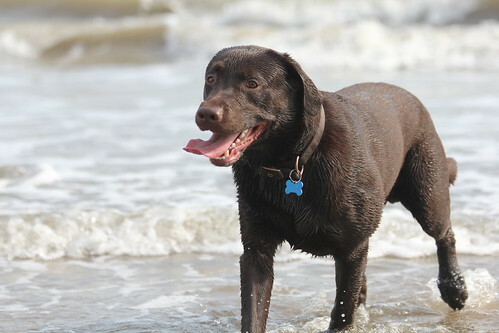 Breeds like Labrador retrievers are almost always good with children and other hikers but it takes training to resist running after wildlife, for example. Chasing deer or other large animals isn't the only problem you might encounter. In many places it's quite common to see snakes sunning themselves on hiking trails in the summer months. In the overwhelming majority of cases they slither away as soon as they catch sight of people, but a curious dog might not want to let this interesting new thing go so easily. Keep your dog close by even when not on the leash and make sure they'll come when you call, every time. It's great to start training your dog into good hiking etiquette from a young age, but do remember that puppies are just like kids. They might start out with boundless energy but they get tired easily. Start with short hikes and work your way up as your dog gets older, stronger, and more experienced. Special care should be taken when allowing puppies who aren't yet fully vaccinated out on the trail- it's usually best to wait until they're fully protected. Jess Spate is a hiker, a rock climber, and a dog lover since childhood. When not out on the trail somewhere she works for Appalachian Outdoors (a company that stocks a wide range of dog gear and edits a British outdoor clothing website.